The Strong Legato series from the Innovative Percussion Mark Ford line is designed to produce a very Strong Legato tone with well defined fundamentals. IP813 Medium Hard mallet from this series dose just that. It will work great in a set or in a solo setting. A rubber core wrapped in soft yarn on top of an unfinished birch handle gives the player control and dynamics. They Sound great, but within a week one of the mallets snapped in half without any strenuous use. Very disappointed. Gets a great warm sound quality on all notes of the marimba. They came a little fuzzy and are not too appealing to the eye, yet they still sound great! These mallets are, quite frankly, some of the best I have used. They have great tone everywhere on the board except around G6-C7, which is not much of a problem, as using a graduated set of mallets usually fixes the issue for most works. Even if you are not a fan of rubber cores, I urge you to give these a try. The cores provide a great amount of rebound and a superb sound for medium intensity pieces. These mallets are inexpensive, and definitely worth the money. 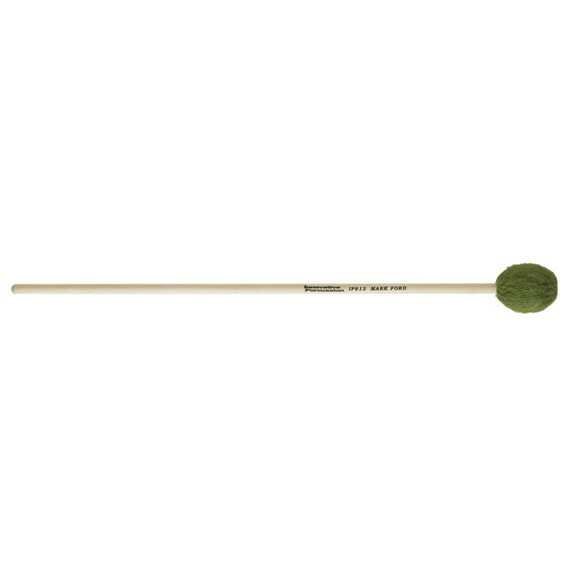 These mallets are great for more lyrical, soft, expressive music. The work quite well for Bach transcriptions as well. Despite being so soft, they sound great across almost the entire marimba. The med hards respond best from C3 to C6. That should give an idea of the range for the other mallets in the series.